8 Important Questions You MUST Ask Your Wedding Hairstylist! Zeroing down on your hairstylist for the most special day of your life is no easy feat. After all, a bad hair day on your wedding is simply not an option. To help you find the right one, it’s important to ask your wedding hairstylist these questions before finalizing him/ her. 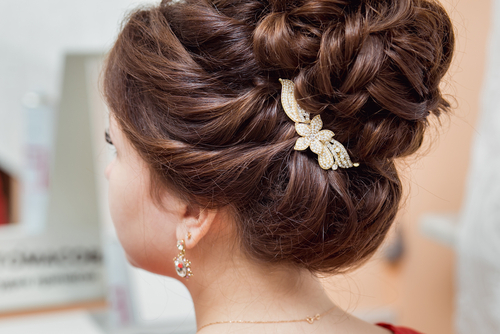 These must-asks will ensure you book someone who will give you beautiful bridal hair. 1. Will You Give Me A Consultation And Trial Before the Wedding? You must ask your beauty professional for a trial before the wedding, and if they don’t agree, you definitely shouldn’t book them. A consultation and trial is a must so you both can discuss, in detail, the type of looks you would like for each function. The stylist can even recommend how you should take care of your hair before the wedding, and this way you’ll know that you’re both on the same page. You can test out a few looks at the trial run so there won’t be any surprises on your big day. If you feel like you’re not comfortable with him/ her or feel like that kind of styling isn’t for you, you don’t have to book him/ her. 2. Do You Have A Portfolio Of Brides You Have Worked On Before? 3. Do You Have Hair Accessories That I Can Borrow? Most bridal hair stylists have loads of hair accessories like pretty pins and embellished clasps that they allow you to borrow for your functions. If you’re planning a floral hairstyle, decide on the colour and type of flower in advance, so they can bring fresh flowers on the day. 4. Will You Come To The Venue To Style My Hair? 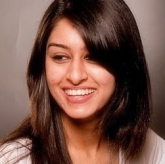 You may not want to go to the salon to get your hair done before your shaadi functions. Ask your hairdresser to come to your home/hotel/ venue instead. If you’re having a destination wedding, you’ll need to inform them well in advance, and you’ll have to organize their transport to the destination and back. 5. What Kind Of Prep Should I Do Before Each Function? Depending on the style you’re aiming for, your stylist should tell you whether you should wash your hair on the day of the function or the previous day. For curly and wavy hairstyles, second day hair sometimes works better as it has more texture to hold a curl. 6. Will You Also Do My Mother/ Sister/ Best Friend’s Hair? Find out if your stylist can accommodate your bridal party or can bring along assistants for them, and what that would cost for each person. Also read: 9 Beautiful Bridal Buns To Inspire Your Hairstylist! 7. How Can I Improve The Condition Of My Hair Until The Wedding? Ask for their professional advice on getting dreamy, healthy locks before your big day. 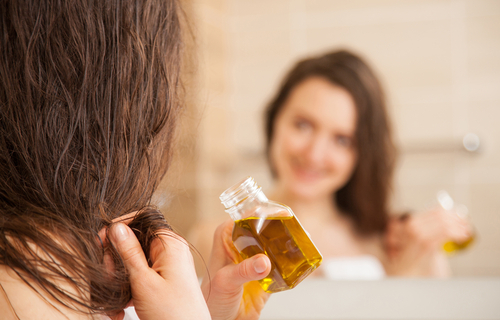 Should you be getting hair spa treatments? If yes, then how often? Also, whether or not you should get a cysteine treatment done to cut down on that frizz. Your stylist will be able to guide you well. 8. Are You Familiar With My Hair Type? 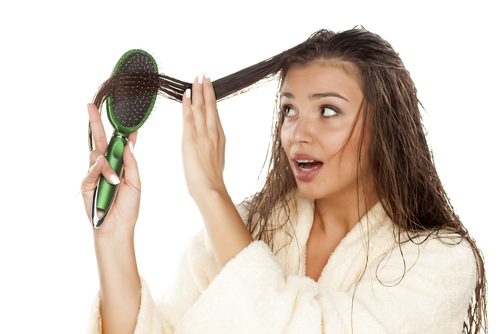 It’s better that you inform your stylist about your hair type and other quirks about your mane. If it’s curly, thick, frizzy, stubborn, etc – let them know. It’s better they understand your hair in advance and can work with it.